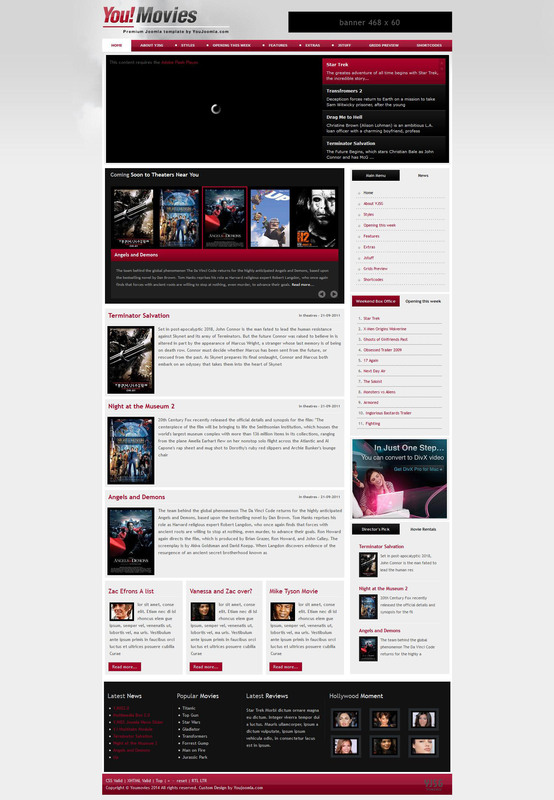 YJ YouMovies - a template for creating a popular video portals on the design studio YouJoomla. This template has a nice range of colors: 7 colors and 2 styles background. Multifunction platform used for the template layout gives responsive design that allows the site displayed correctly on any screens. Flexible modular design is capable of in the best shape to place all the items on the site. Native integration of the popular content management K2 adds new features in the publication and posting materials on the site. In the assembly includes best club expansion, increasing the potential pattern. YJ YouMovies fully compatible with all browsers.